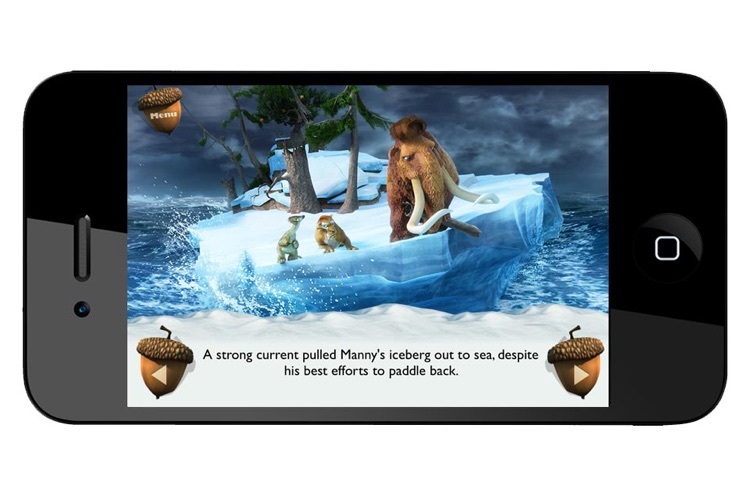 Ice Age Movie Storybook Collection by iStoryTime, Inc. 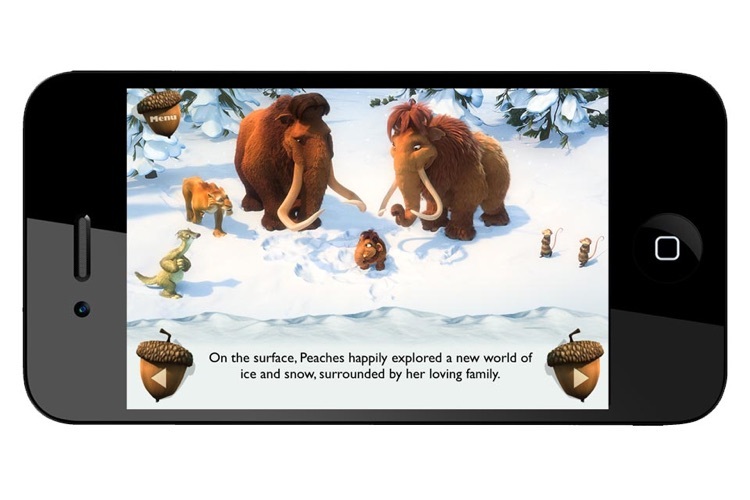 The Ice Age Movie Storybook Collection app brings together fans’ favorite Paleolithical mammals Manny, Sid, Diego and the rest of the crew onto the iPad, iPhone and iPod touch. 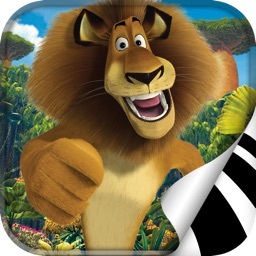 Featuring genuine character audio narration and vivid images from the motion picture series, the app offers parents and their children an extraordinary reading experience packed full of fun! 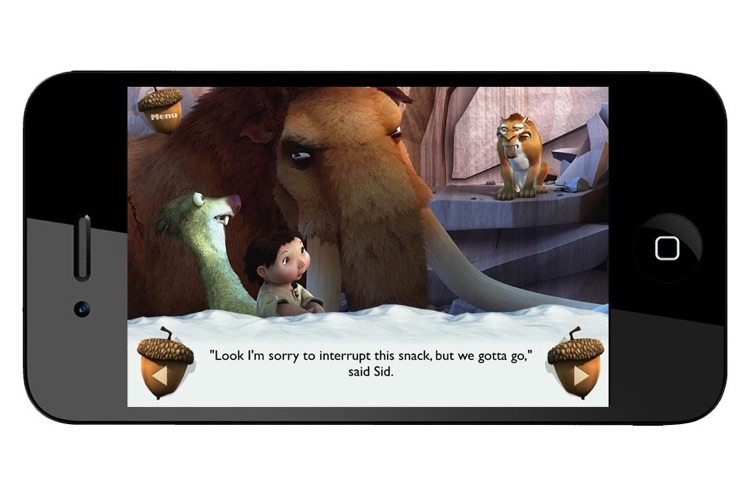 Ice Age Movie Storybook included with purchase. 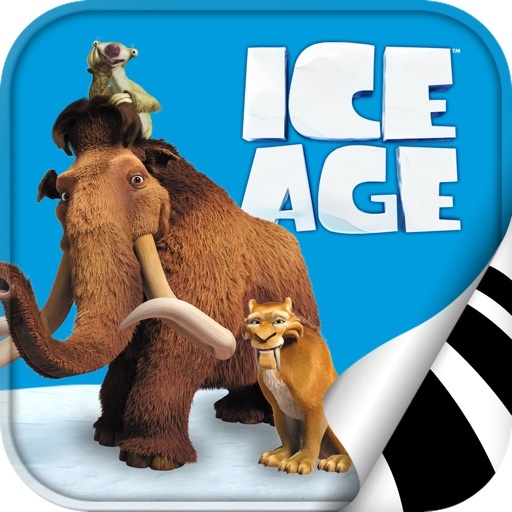 Ice Age 2, 3 and 4 available for in-app purchase. To avoid some really bad frostbite, and the threat of extinction, the planet's majestic creatures — and a few small slothful ones — begin migrating south. 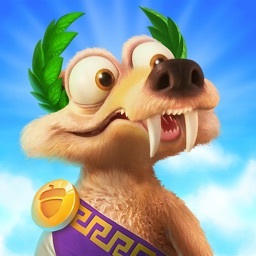 The exceptions are a woolly mammoth named Manny, a high plains drifter who does things his own way, and a terminally lazy sloth named Sid. Manny has been convinced by Sid into helping reunite an abandoned human baby named Roshan with his family. 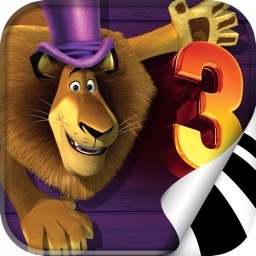 This unlikely crew is joined by Diego, a sinister saber-toothed tiger who befriends Sid and Manny, all while seeing the infant as a tasty treat. 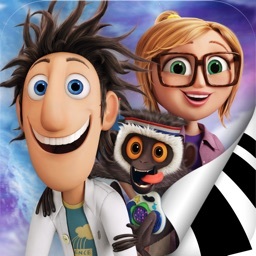 Manny, Sid and Diego return in another incredible adventure. 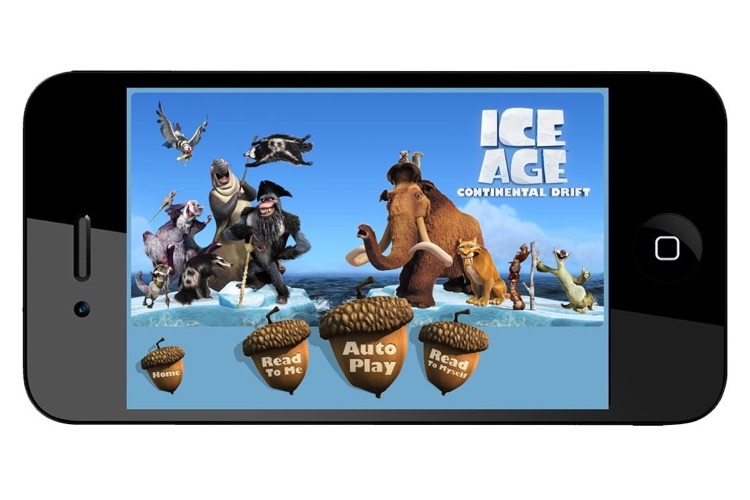 The Ice Age is coming to an end, and the animals are delighting in their new world: a melting paradise of water parks, geysers and tar pits. But when Manny, Sid and Diego discover that the miles of melted ice will flood their valley, they must warn everyone and somehow figure out a way to escape the coming deluge. Manny and Ellie await the birth of their mini-mammoth and Diego wonders if he’s growing too “soft” hanging with his pals. 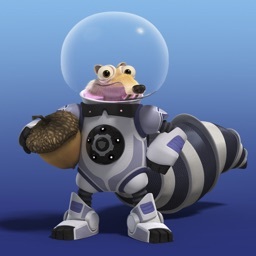 All the while Sid gets into trouble when he creates his own makeshift family by hijacking some dinosaur eggs. A continental cataclysm triggers the greatest adventure of all for Manny, Diego and Sid. In the wake of these upheavals, Sid reunites with his cantankerous Granny, and the herd encounters a ragtag menagerie of seafaring pirates determined to stop them from returning home. For additional information, please visit www.istorytime.com. 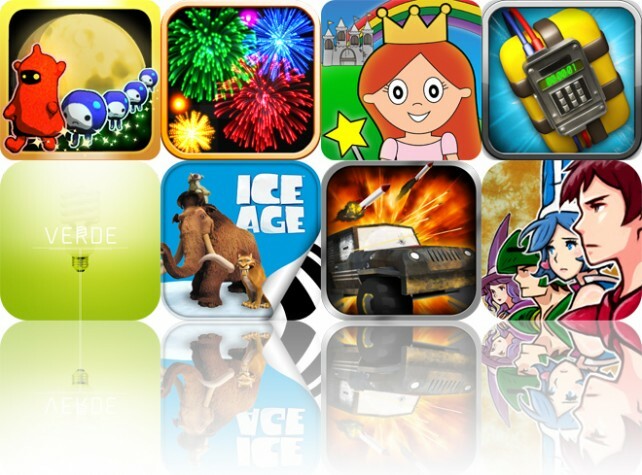 Today's AGF list includes an action game, an app for putting on your own fireworks display, and a children's coloring book. 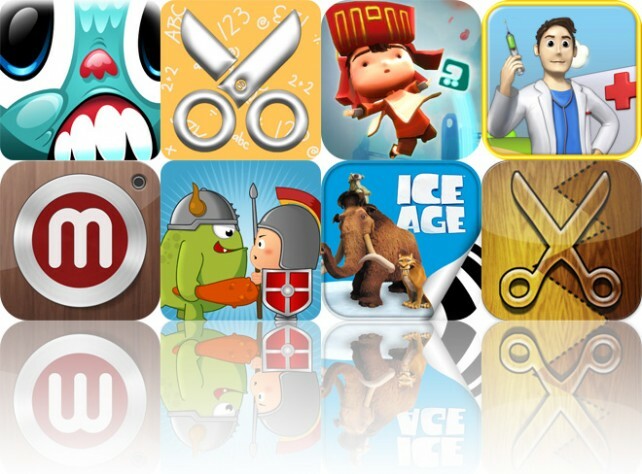 Today's AGF list includes a physics puzzler, a scrapbooking app, and a platformer.